what to pack | Finding delight. Is packing in a 19 liter backpack possible for winter travel? As you know from this post, last month I took a weekend trip to Florida with my husband. But a few weeks later, I had to travel again. This time, I was headed north to Ohio. The circumstances weren’t as happy (it was for a funeral of a loved one) and the travel arrangements were very last minute. On the first trip, I had no problem planning and packing in my 19 liter Tom Bihn backpack. I had time to strategize and I was traveling to a warm climate. But for my last minute flight to Ohio? I threw everything into my husband’s Tom Bihn Aeronaut 30. He usually carries it as a duffel but I strapped on the backpack attachments (and probably looked like I was headed to a month of hostel-hopping). 30 whole liters? The luxury! At the time, I didn’t want to put a lot of extra thought into packing. I just wanted to get there. I also knew I would need warm clothes for the snowy conditions, a dressy outfit, laptops and books for trying to work (and entertainment in case of any flight delays/cancellations). If you’re looking for a one-bag travel situation but need to cram in a suitcase worth of stuff, I HIGHLY recommend the Tom Bihn Aeronaut 30 (there’s also a 45). Especially if you, like me, prefer hauling stuff on your back. (Listen. I’m not saying it’s because I can pee without putting all my stuff down but I’m not NOT saying it’s because of that, ok?) In a pinch, this bag will fit under the seat in front of you and it slides right into the overhead bin…that person with the dreaded luggage tags won’t even give you a second glance if they see all you have is a backpack. Because I’m a packing nerd…. and I LOVE a challenge…. This one’s a no-brainer, but perhaps it bears repeating. Do I hate having to pull off a coat, an oversized cardigan, winter boots, a beanie, and a blanket scarf at airport security? ABSO-freakin’-lutely! But will I be glad to have these items when I reach my snowy destination? YES! Save space in your small backpack and pack these much-needed winter items on your body instead. I have a small and mighty collection of comfy pants that feel like pajamas, but when paired with the right items, look down-right dressy. If I were packing for a winter trip in my 19L, I would consider traveling in a pair of these and then also use them as lounge/sleep-wear. One way to cut down on the bulk of a bunch of clothes is to pack one-and-done outfits. I love packing dresses for travel because it’s just one piece of clothing you have to worry about and *bam* you have an outfit! Now, you might be saying, “Is this really a practical solution in the winter months?” And to that I respond — Helloooo?! Have you ever tried fleece-lined tights? Throw a pair of those on under your dress and rock your boots and cardigan and there ya go! Bonus: These can also be used as a long-underwear option underneath your trousers or the comfy pants mentioned above. A benefit of my bigger bag was that I traveled in a pair of heeled boots but also brought along some casual slip-ons. This is less of an option when you’re traveling super light. So, pick a versatile pair of boots (I would have definitely nixed my heels) that you can rock with any outfit. Because your feet will thank you, consider throwing in a pair of slippers or slipper socks that you can pad around in during the evenings. They pack down super small and some hotels are just too sketchy for bare feet, ya dig? While normally I’m all about traveling with a bunch of mix-and-match layers, that’s not as feasible when you’re combining cold weather clothing and a teeny-tiny carry on. Consider pullover sweaters and thermal long-sleeve shirts instead. Throw a couple of those in your packing cube (you can always wear them under the big cardigan you’re wearing on the plane, if it’s mega cold!) and call it a day. These, plus a pair of trousers, your comfy pants, a dress, fleece-lined tights, and your cardigan will form your on-the-go winter capsule wardrobe! Do you have any tips and tricks for traveling light in the colder months? Leave ’em below! P.S. 7 things that totally changed my air travel game! These 3 outfits take care of your main Turkey Day vacay occurrences — traveling to and fro your destination, the actual meal, and something for the in between (like helping your Mom with pies the day before or hitting up the Black Friday sales). But they can also be mixed and matched! Need to get out of the house and grab some drinks with your hometown pals? Heading to church with the fam or grabbing a weekend brunch? Putting on a movie marathon while you trim the tree? Or maybe you’re feeling cooped up so you wanna go on a hike? Happy packing and HAPPY TRAVELS! 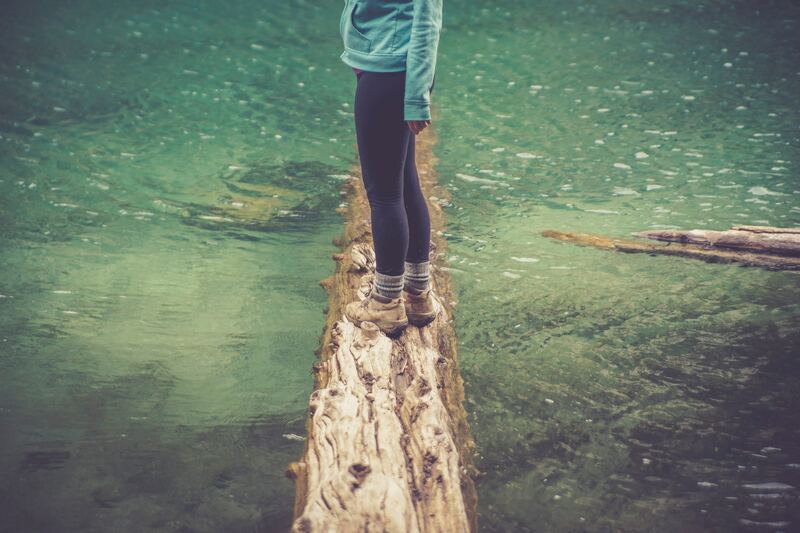 No matter how much you love hiking, there’s no denying it demands a lot of your body and mind. Still, I really love hiking. However, I’ve been in some sticky situations over the years. So I thought it might be fun to use these past experiences and share my tips about what to bring along on your future hikes – J.I.C. (just in case!) Take it from me, if you’re planning a long-duration hike, your preparation has to be on point. You need to carefully examine the supplies you are taking with you to ensure you truly have everything you need for a long hike. If you’re hiking for an entire day — or longer — your supply needs are very different to the supplies you need for a quick jaunt. By preparing ahead of time, you can focus on enjoying yourself, safe in the knowledge your trusty backpack contains everything you could possibly want. So, what should be in that trusty backpack of yours? If you’re going to be hiking for a day or more, you need to consider your medication needs. If you take prescribed medication, then that needs to find a place in your backpack– use a small pillbox if you don’t want to bring along your entire supply. You’re also going to need a supply of over-the-counter medicines, especially if your hike will take you awau from civilization. Standard pain medication and antacids are a necessity, as is high-SPF sunblock. You may also want to consider taking along some water purification tablets. There’s always a risk that you’ll get lost when hiking for a long period of time; in such a scenario, you’re going to need to drink water, and water purification tablets are a light and inexpensive way to make sure you’re drinking clean water. Anyone who has ever been hiking will know that foot sweat (ew!) is a real concern. It’s not a particularly pleasant concern to discuss, but it’s an issue many hikers face, so yep — we’re gonna go there. You should take along a foot balm, preferably something cooling, to help soothe your feet after a long time walking. You may also want to take an anti-chafing powder, especially if your hiking boots are not the best fit. A spare pair of compression socks is vital, too; you’ll likely need a change of socks for any long-duration hike, so shop today to nab a backup pair. I’m a very recent adopter of the compression sock life and I can tell you from experience, they are a GAME.CHANGER. Finally, it’s always helpful to take blister treatments along with you on a hike. I’ve been super susceptible to blisters my whole life so this is always front of my mind. While compression socks and good hiking boots can lessen the chances of blisters, they are still possible, and nothing will make you feel miserable faster than experiencing a jolt of pain with every step. Blister Band-Aids and medical tape are an essential in my hiking bag. Even if you’re hiking in the height of summer and plan to be back well before dark, a flashlight in your bag won’t hurt. If something goes wrong, a flashlight will make all the difference, allowing you to keep moving through the night rather than being stuck sitting while you wait for dawn. The best choice for a hiking flashlight is a wind-up one. These might be somewhat irritating to use but they are safer than batteries, which can run out. If you’re thinking you could just take spare batteries along in your rucksack, a) um, heavy, and b) batteries can cause fires when stored together at close quarters. It’s far safer to opt for a wind-up version, and spend a little time winding it up with a decent charge prior to departure. A small knife or a multi-tool, like a Swiss Army Knife, is an essential component of your long hike planning. You can use this for cutting food you have bought, preparing firewood, and a variety of other tasks you may need to perform in an emergency situation. Knives are light and can be slipped into a spare pocket of your rucksack, so there’s no reason not to take them. Even if you tend to hike with apps and GPS rather than maps, a compass is another essential emergency item you’re not going to want to be without. Take the time to learn how to use the compass, then tuck it away in a pocket of your rucksack. Hopefully you’ll never need to use it, but if a situation does arise, you’ll be glad you’ve got it on hand. 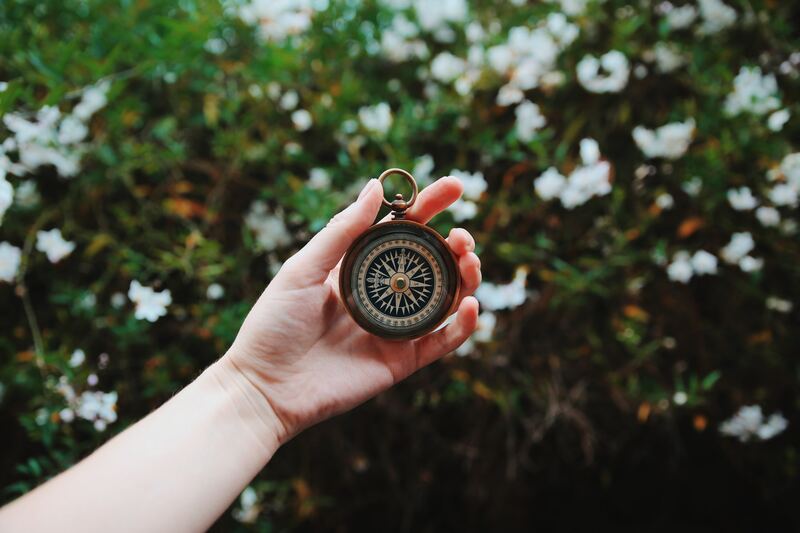 A compass alone can be beneficial when you’re out on a trail for a long period, but to really make the most of it, you’re going to need a map to work with it. Ideally, you want your map to be waterproof– you can either buy a pre-waterproofed map of the area you’re visiting, or laminate a standard map for yourself. It’s wise to take a map for a wider area than you’re planning to hike. If you get lost, you could get off course, so you might wander into wider areas. A map that shows both the area you’re intending to hike to and an extra ten miles in each direction is ideal. It’s unlikely you’d set off on a hike without food, but it’s important to find protein-rich food to help sustain energy during a hike. While I always crave salty chips, high-protein food can keep delivering the nutrients you need and help to satiate hunger. There are plenty of super packable protein bars on the market, or you could opt for something homemade by following these protein snack recipes. 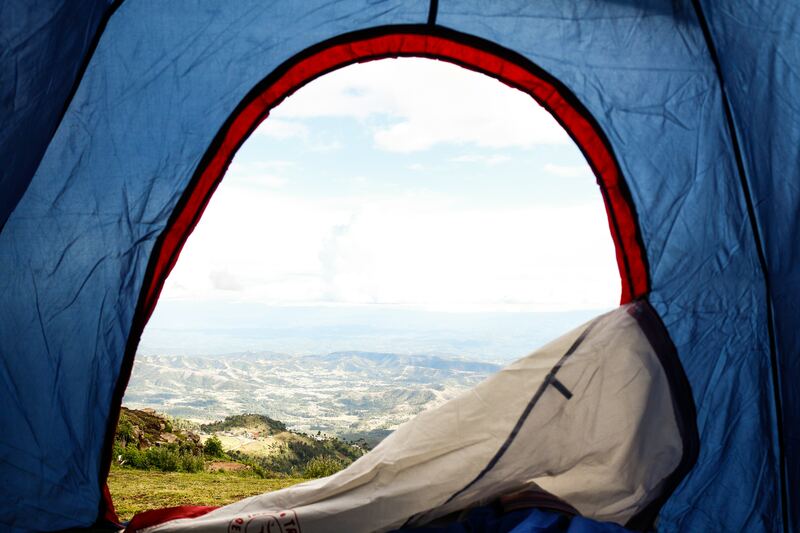 Even if you’re not planning on camping, you might want to take a tent along with you. 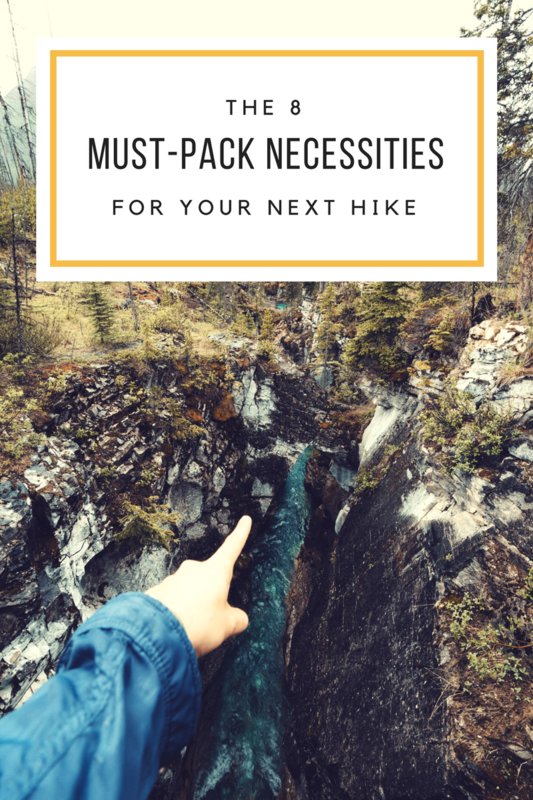 As most of this list has made clear, hiking is unpredictable, and much of your backpack needs to be dedicated to supplies that can keep you safe and comfortable if something goes wrong. A simple, quickly-assembled tent is the best way to ensure your safety and prepare you for any eventuality. Ya know, J.I.C. P.S. Prefer to read about hiking? I have a 4 part book club series exploring Wild by Cheryl Strayed!